Patricia A. 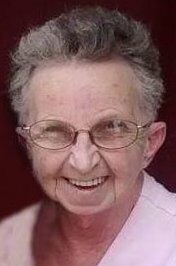 ‘Pat’ Reitz, age 77, of Rochester, formerly of rural Wabasha, died Tuesday, July 10, 2018 at the home of her daughter, Judy, with whom she has lived with since November, 2017 because of her failing health. She was born April 8, 1941 in Chicago, IL, the daughter of Robert and Mary (Kellen) McNicholas. She was a graduate of Fenger High School. She married James P. Reitz March 3, 1962 in Chicago. The family moved to Rochester in 1977 where she worked in food service in the Mayo Clinic Harwick Building and Jim worked for Crenlo. The couple built a home on Sand Prairie, rural Wabasha, and moved there in 1991. Jim retired in 2001 and Pat in 2007 from their work in Rochester. Jim died January 10, 2008. Jim and Pat were former members of Trinity Lutheran Church in Rochester. Pat enjoyed gardening, shopping, grilling out and their many family picnics. She also enjoyed attending her grandchildren’s sporting events. Her greatest joy was spending precious time with her loving family. She is survived by daughters and sons-in-law, Cheryl and Leon Stone, Plainview, MN; Judith Reitz and Pamela Reitz, both of Rochester, MN; Dawn and Todd Smith, Viola, MN; sons and daughters-in-law, James and Janie Reitz, Rochester, MN; and Robert and Melissa Reitz, Rochester, MN; 18 grandchildren; 31 great-grandchildren; sister, Joyce Niebert, Chicago, IL; three nieces and one nephew. She was preceded in death by her husband, Jim, daughter, Suzanne Reitz, son, Peter Reitz, and her parents. Pat’s family would like to extend heartfelt thanks to the caring staff of Mayo Hospice for the care, love and support shown to their mother these past several months. A funeral service will be held on Saturday, July 14, 2018 at 1:00pm at Abbott Funeral Home in Wabasha with Reverend David Knox officiating. Interment will follow at Riverview Cemetery in Wabasha. Casket bearers will be Bradey and Adam Walters, Nick Upton, Shane Doxtator, Monte Flores-Ruesink and Matthew Syring.